Archaeologists have uncovered a missing piece of the Stonehenge Avenue, the route leading to the prehistoric monument. During works to decommission the nearby A344, archeologists discovered two ditches belonging to the Avenue, buried beneath the roadbed. 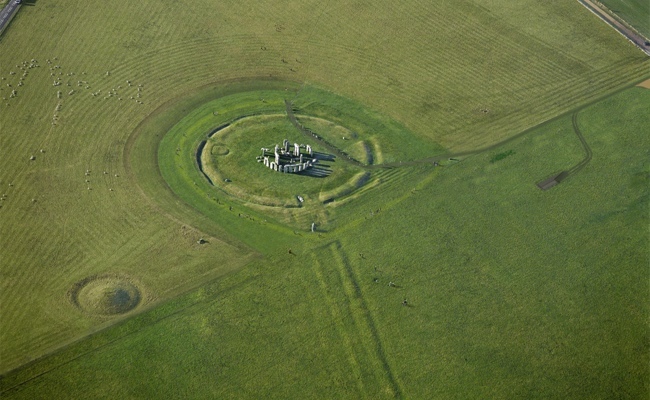 The 2.5km Avenue has long been considered the formal processional approach to the monument, and is aligned with the solstice axis of Stonehenge. But its connection with the monument had been severed by the A344. Archeologists were unsure whether the remains of the severed section of the Avenue would be intact. But two ditches were found near the Heel Stone, about 24 metres from the entrance to the monument. A section of the A344 running past Stonehenge was closed permanently in June. The road will be grassed over to improve the Stonehenge visitor experience. Heather Sebire, properties curator and archaeologist at English Heritage, said: “The part of the Avenue that was cut through by the road has obviously been destroyed forever, but we were hopeful that archaeology below the road would survive. “And here we have it – the missing piece in the jigsaw. It is very exciting to find a piece of physical evidence that officially makes the connection which we were hoping for. “It was always agreed that once the road came up it would be excavated. We hoped the ditches would be there but there was a slight unknown element, so we were delighted to find they were there. “We are fairly sure the Avenue outlines the walkway towards the stones. “It was constructed in 2300 BC so is a later addition to the stone circle, but people would have processed along it to the monument. It leads directly into what we think is the entrance, and links the monument to the river Avon. Once the A344 has been grassed over, it will be used as the visitor route into Stonehenge. Visitors will be able to walk along the Avenue, tracing the route along which people in prehistoric Britain most likely made their way to the monument. By StonehengeNews in Stonehenge Discovery on September 13, 2013 .